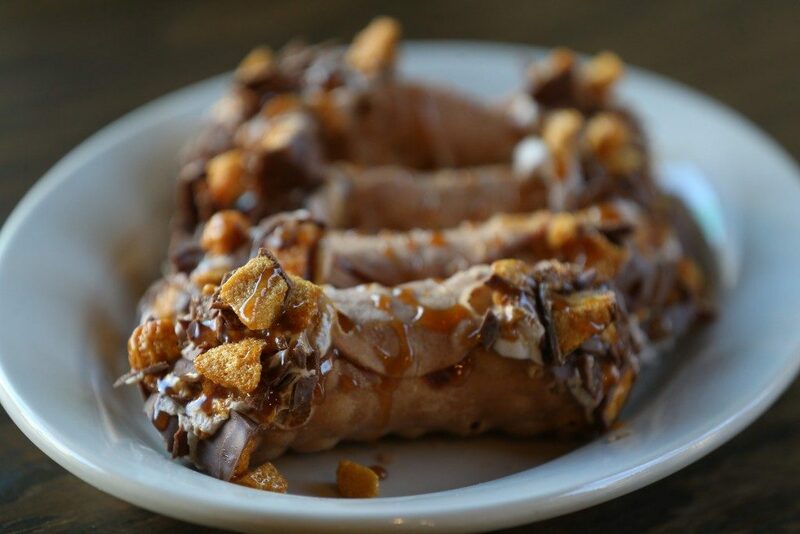 Panaro’s Restaurant introduced their newest venture in April 2017 when they opened Buffalo’s only gourmet cannoli truck. 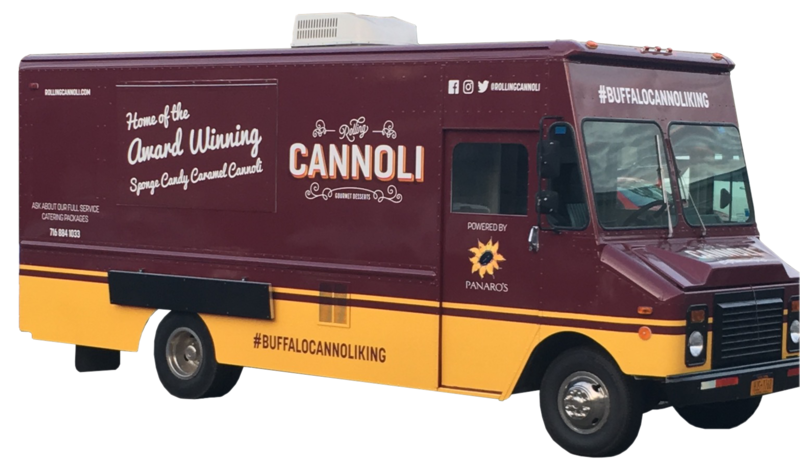 The Rolling Cannoli is best known for their Award-Winning Sponge Candy Caramel Cannoli which won Best Dessert at the Taste of Buffalo in 2015 & also took home the Best of Buffalo award at the Taste of Buffalo in 2016. Cater with our food truck for any type of event, including workplace catering, campus events, birthdays, graduation parties, house warming, anniversaries and Bar/Bat Mitzvahs. Book our food truck for your next event. You give us the details below to have us drive to your event and serve up fresh cannoli! Rolling Cannoli by Panaro's Restaurant. Serving Buffalo since 2004. © 2019 Rolling Cannoli All Rights Reserved.